“She Within You” is a Substantial Movement about learning who God says you are as His daughter. You will be encouraged to change as you understand God’s prospective about yourself. A Substantial Women is one that impacts a person’s life for a reason, season, and a lifetime but she knows that it only takes a moment in time to impact people with God’s essence for eternity. It is about being synchronized, setting things in motion and knowing that it is promotion time because your substance matter and you will be creating a substantial movement with God’s essence. 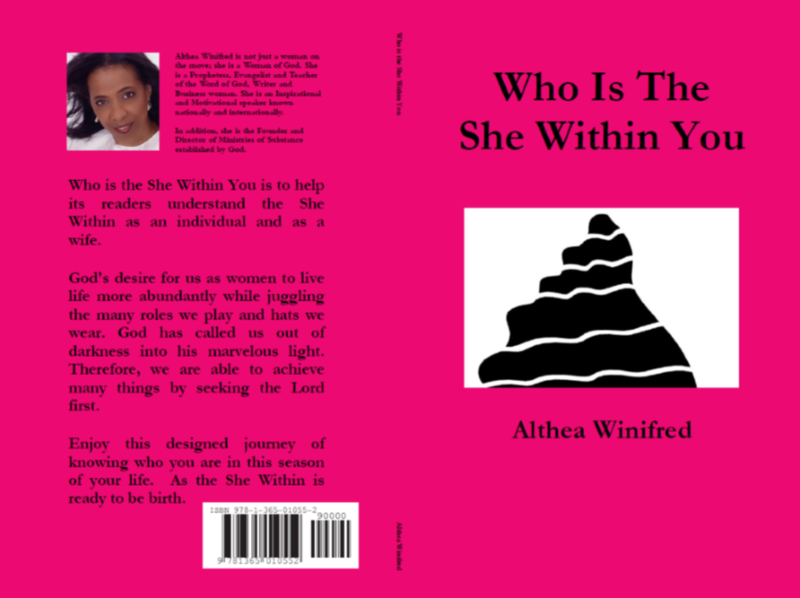 "Who the She is Within You" and is willing to help others by showing God’s given essence.